The British-Nigerian actor David Oyelowo has taken on the role of a lifetime playing Dr. Martin Luther King in a stunning new film. But how is he coping with all the controversy and debate offscreen? "Hollywood still has a problem with black, powerful characters in the center of their own narrative, driving their own destiny forward. If you play a subservient character, it lies comfortably within the self-fulfilling prophecy of what it means to be black in America." That’s actor David Oyelowo, 38 talking to Channel 4 News earlier this month after the powerful, challenging Selma failed to win an expected groundswell of support among Oscar voters. Oyelowo plays Dr. Martin Luther King and Selma tells of the voting-rights marches that King organized in Alabama in March 1965 from Selma to state capital Montgomery—initially in defiance of official, brutal opposition. Those marches, the backroom discussions around them and the national reaction to violent images beamed from them on TV were all key milestones in the U.S. Civil Rights movement and writer-director Ava DuVernay recalls it all with an urgency and horror that’s hard to watch. Like Oyelowo’s performance, her film is fierce, challenging and immediate. 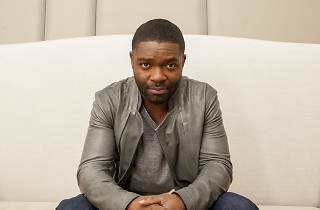 We met Oxford-born Oyelowo—lucid, careful, charming—in December when his film was already making waves beyond cinemas. He and his colleagues—including producer Oprah Winfrey—had just turned up to the film’s New York premiere wearing T-shirts stating "I Can’t Breathe," in reference to the death last July of Eric Garner, an African-American man, during his arrest at the hands of the NYPD. 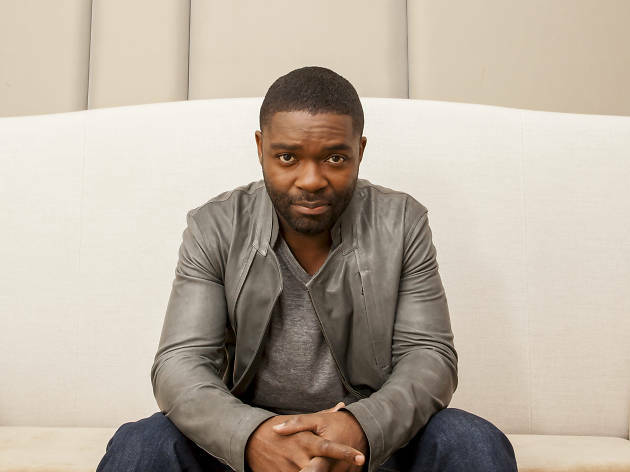 For Oyelowo and his colleagues, Selma continues to be about much more than history. You can’t have foreseen that you’d become a spokesperson for issues far beyond Selma when you first agreed to play Dr. King? It’s become more topical than we thought it would! But, look, you make films to engage society. Hopefully those films are thought-provoking, and hopefully they hold a mirror up to you and your life. I am stimulated by these conversations because I think that just having them causes change. It blows away some of the apathy that allows some of the not-so-great situations we’re enduring to happen. Did you and your director Ava DuVernay set out to make a film that felt so urgent? We fastidiously set out to make a film that you couldn’t relegate to being a “historical drama,” which has connotations of mothballs and something a bit fusty and stuffy. That tag lets the audience off the hook, by making them think, “Oh, that was back in the day, we live in different times now.” We wanted to humanize Dr. King and not just accentuate his reputation as an iconic, legendary, historical figure. Also, we wanted the film to have an immediacy and a relevance and to feel like it’s happening right in front of your eyes, as opposed to it being portentous or reverential. Has anybody taken issue with a British actor playing such an iconic American? If Meryl Streep can play Margaret Thatcher, I can play Dr. King! The truth is that this happens all the time. I was in The Last King of Scotland and Forest Whitaker was playing Idi Amin and could not be less Ugandan if he tried! Idris Elba played Mandela. I often think, the less you know as an actor, the more fastidious you are about finding the person you’re playing. You’ve spoken before about the importance of your Christian faith. Did it help with preparing for Selma? It was key and crucial. Trust me, when I first read the script back in 2007 [it took many years for the production to get off the ground], I felt God tell me I was going to play this role. It felt like a spiritual calling. Partly, I recognized in Dr. King the thing that I aspire to do and be, and I love the fact that Dr. King wasn’t just a talker of the Word but a doer of the Word. At the core of Christianity is sacrificial love as exhibited by what Jesus did on the cross for humanity. It’s an easy, quippy thing to say, but it’s another thing to have your life actually threatened for 13 years as Dr. King did. I admire that. So, yeah, absolutely, that faith kept me believing when it looked like this thing wasn’t going to happen. Back in 2007 when you first read the script for Selma, your work was more based in TV and theatre. Did you want to make more movies? The reason my family moved to L.A. back in May 2007 was because I was getting wonderful TV and theatre opportunities here, but it’s just a smaller industry in the U.K. So I hadn’t done many films at all. Certainly not sizeable ones or sizeable roles. My wife and I and our two kids at the time felt like we were starting again, in a completely different country, a completely different market, and having to frame ourselves very differently. I had to learn American culture in order to portray American culture. We were literally starting all over. You’ve been in L.A. almost eight years now. Do you feel more American? I don’t feel more American, but I have two Americans—we had a further two kids who were born in America. I wouldn’t say I have feelings of being American but partly because of this journey making Selma I know more about this history than I do British or even Nigerian history. I’ve had the incredible divine circumstance of making four other films that each looked at the African-American experience over the last 150 years—playing a unionist solider in Lincoln, playing a fighter pilot in Red Tails, playing a preacher in The Help in 1964 and playing the butler’s radical son in The Butler. I’ve become a mini expert. Selma is in theaters now.